One of the most talked-about aspects of ISIP during the recent retreat in Mumbai was “burning.” This is mainly because burning usually deals with our responses, especially our habitual tendencies, to objects with which we have relationships —whether those objects are related to money, position, health, or anything else. More importantly, relationships with other people are where most of our tendencies interplay and interact. What happens is that we begin a relationship with an object or person outside ourselves in the hope of finding happiness and comfort. But later on, as we move more deeply into that relationship, we commonly begin to experience a “toxic” dependency, where we feel the poison of attachment and fear in addition to the original happiness and comfort. Joy and happiness are then experienced mixed with sorrow and pain. Deep attachment and dependency usually are the cause of such feelings. That is when we use and experience burning as a means to break free from that toxic dependency on the object. However, I have seen that most sadhakas “over-burn”— that is, they go through the process of burning over and over again by being attached to the story instead of the physical sensation triggered by the story. This creates a sort of obsession with the outside object that drains and frustrates them, and invites more and more suffering into their lives. To avoid this, it becomes important to address the issue of how to prevent over-burning, and how to practice effective burning to remove the seeds of attachments and fear—of toxic dependency. Whenever you get triggered or agitated by someone or something, always tell yourself, “It is always my fault.” It is NEVER the trigger’s fault. It is very easy to blame someone or something for what is happening within you. But it is vital to remove the blame from others and instead move it to yourself, and what needs addressing inside you. In this way, you will be ready to deal exclusively with what is happening within you—the Truth—instead of getting distracted by the mind. The mind does not allow you to know the Truth, while coming back to yourself does. Everything in this Universe, whether we recognize it or not, is designed to break our attachment and dependency. Therefore, know that if Consciousness recognizes that you are over-dependent on anything, it will create situations to break you out of that illusion. The sooner you recognize this plan, the freer you will be. It is meant to be this way. Consciousness recognizes that an over-dependent, toxic relationship with anyone or anything needs to be got rid of for your ultimate freedom. Consciousness wants you to be detached from things and people. It wants you to be in a loving, not dependent, partnership with people. If you are in a dependent relationship with something, you will in due course feel some hostility and negativity towards it. The inherent sense of captivity you begin to feel suffocates and eats you from within. The sense of having a sturdy base that you think can support you is false; it always has some imperfections that will invariably disillusion you. That is why Consciousness has a plan for your detachment and freedom. The more attached you are to a relationship with an outside object or person, the more you will suffer. That is why you need to understand that the play or game of Consciousness causes certain relationships to fail or move away, or certain desires to not be met. Consciousness wants to set you free! When you get triggered by something or someone, the mind conjures up various thoughts about it. “He did that.” “I should have said something.” “It’s all her fault.” The thoughts go on and on and do not stop. Do not believe all this rubbish! The mind is the number one culprit in keeping our attention away from ourselves, and moving it onto the world. The mind is the one that is solely responsible for making us believe that we NEED something outside ourselves. It creates the web of toxic dependency. Consider this: in deep sleep, when the mind has gone back into the Source, there are no objects and no people. Yet we are completely still and in the deepest bliss and joy. However, when the mind returns upon waking, it tells us we “need” to get more things, work on our relationships, and countless other things in order to be happy. The truth is we really do not need any of that. But the mind is always trying to trick us, and to hypnotize us by repeating, “You need more money.” You need a bigger car.” “You need a bigger house.” There is absolutely no end to the mind’s madness. So do not believe it. The mind may not stop thinking, but we can choose not to believe it. Once you stop believing the mind, you can stop believing your unhappiness is someone else’s fault. Then you can burn properly. I said earlier that often when our relationship with someone falls out, whether at home or at work, with a loved one or business associate, we instantly want to find fault in the other. When we are in pain from disappointment or betrayal or other negative emotions, we cannot remember the good these people have done for us. The tendency of the mind is to always sway towards negative thoughts about people. We simply cannot remember the good times we had together. It is a Herculean task to do so. We just remember how nasty and horrible those people were. We cannot see the totality. So let us make an effort to also remember and acknowledge the positive things these people have given us. When we do this, the negativity towards them dissipates. We can see a bigger, more honest picture of who they are. We forget that it is all karma. In the relative world, we humans are nothing but the interplay of karma. That is why someone who showers us with so much love and attention sometimes suddenly moves away from us, and it appears like we no longer understand or know that person. The reason is karma. Consciousness can cause karmic shifts that take place beyond anyone’s control. Knowing that Consciousness plans things as they are for our freedom, and knowing that relationships are all karmic interplays, we then can surely not blame the trigger for anything. Instead, we must thank it for being chosen by Consciousness to help us dive deeper into ourselves, where we can collect the fragmented and broken parts of ourselves that need to be brought back together. This is where we can realize how free we actually are, and how independent we truly are. The hypnotic spell of the mind is broken. The trigger, therefore, actually helps us get free. So thank the triggers! Do not be worried or obsessed about them. Instead, thank them for giving you this opportunity. So whatever the obsession, thank the triggers for making you realize the toxic dependency you have on them. Then restrain yourself from indulging in the thoughts or acts that would induce even more dependency. We often label people in various negative ways. “He is like that.” “She is like this.” But we can also easily label ourselves in the very same negative ways: “I too am like that.” “I too am like this.” These are all mind games, and none of them matter. What matters is honestly acknowledging what is happening within ourselves, and what contribution those people have made to our lives. When gratitude and thankfulness are felt deeply in the Heart, they automatically blossom into unconditional love. At that time, the mind does not just stop; it actually dissolves. We go into a state of deep silence and love. The Heart opens and sings. Love pours forth to everyone. Is not this what we want? What else are we looking for? We can also clearly see the self-imposed limitations of the triggers, and the sufferings they undergo. This gives rise to compassion. And it is gratitude, unconditional love, and compassion that really help us dive deeper into our SELF, and dissolve any pain or suffering we may feel. At that time, we can truly identify the physical sensation arising as the pain body, effectively merge with it, and burn the vasanas of attachment and fear. Fear of being hurt has kept us from loving deeply. We fear the people who trigger us, separate ourselves from them, and become self-obsessed with our own thoughts. That is why we do not feel the gifts these people bring into our lives. But without those triggers, burning is impossible. Without the people who bring us pain, it is impossible to know love. They are the gifts we inherited in this life. So do not fear anyone. Be completely open. Enjoy and accept what is. Please have love and gratitude for everyone you meet, including those who despise and hurt you. This will free you from feeling like a victim. You can then experience what you truly are— Joy and Love for everyOne! Welcome everyone to the Satsang, from the depth of my heart and my love I hope to touch your hearts too. Which stage, what state am I in right now? What is my stage of Realization? “We are doing sadhana, we are doing ISIP, we are doing self-inquiry, we are doing meditation, everything, but what is the barometer? How do I check what state I am in? I think this is one of the ways of the mind to trick you back into some kind of a trade with what you are doing. It is a way for the mind to get back into your life, to create anxiety, anxiousness, about your practice. I therefore suggest and advise you not to worry about your ‘state of Realization’, or your ‘spiritual state’. Rather, you should worry about what the state of your practice is. There are stages of practice, not stages of Realization. If you remember the stages of practice, and devote yourself to the stages of practice, then these other questions will not arise because they will be taken care of automatically. So what are the stages of practice? We’ll talk about that today because this is where you have to be concerned. Your main concern should be: what is the practice that I am doing? If you are practicing, the result has to be there. You don’t have to worry about the result. You have to worry about your practice. What is the first stage of practice? The first stage of practice is the recognition of the gap. We have spoken about this in the past, but I will revisit it again today as Satsang is a place where we have perpetual reminders for everybody so that you don’t get diverted from your practice. Your concern should never be about ‘whether I am going to be realized, or not’. Your concern at this moment should be whether you are practicing enough, or not. Whether you are practicing properly, or not. Whether you are really honest about it, or not. Whether you are putting in the right kind of effort, or not. Whether you have understood what has been laid out to you, or not. The first stage of practice is recognition of the gap, recognition of the space. That is the first stage. Sri Ramana Maharshi gave us the wonderful tool of Self-Inquiry, of what inquiry is: “to whom is this thing happening”, or “to whom are these thoughts happening”, or “to whom are these emotions taking place”. This question, this inquiry… ‘to whom’… is one of the most basic, and the most profound questions that has been posed, that has been put to us by a great saint, which we need to not answer in terms of an answer, but to just FEEL it. Every thought which disturbs you, if you feel the question deeply in your Heart, what is the answer that you get as a feeling? Maybe there is an event that has disturbed you. Maybe there is an emotion that has disturbed you. Maybe there is a thought that disturbs you. Maybe there is a person that disturbs you. Ask: “to whom is this happening?” That’s it! Just this simple pointer. It directly points to the background, to the Witnesser, or to a gap. The mind becomes completely silent. At that moment it becomes still. Such a powerful tool has been given to us by Sri Ramana Maharshi. Whatever situation you are in, whatever event happens in your life, just merely asking this question to yourself… “to whom is this happening?”… will completely silence your mind. The mind cannot go into anything else. It will just stop completely. That is how deeply this question impacts your mind. It consumes the mind. It completely swallows the mind. Anytime you have a conflict in your mind, anything, just silently ask this question. Lovingly ask this question to yourself with feeling and a very deep interest in the answer. Don’t let it be just a shallow answer that you get. Just be very deeply interested in the answer. Be very deeply interested in the answer. This does not mean that you answer the question, the answer has to come as a feeling. Asked with feeling, you will be directly pointed towards something at the background. A sense of emptiness. A sense of void. A sense of zero-ness, blankness, stillness, silence – whatever you can name. Maybe no names. Maybe nothing, no description, just is! That’s it. That’s how beautiful this question is. And you have different ways to approach it. You can be in the present moment. Bring your attention to this present moment, and stay in the present moment and you will feel it. You don’t have to answer, just stay ‘present’, and you will feel it. And that’s it. You will feel yourself as empty, devoid of any thought, devoid of any emotion, devoid of any feeling. Just the feeling of ‘is-ness’, the feeling of ‘I am here’, the feeling of ‘I exist’, the feeling that ‘I belong’, the feeling that ‘I am’, the feeling of ‘me being… here… now’. Just ‘is-ness’. Or, you can just pay attention to something, focus on something, and feel it. Don’t describe what it is… just feel it. What kind of relationship does that object have to you? Again, you are brought into that same state: emptiness, zero-ness, feeling, is-ness, being-ness, I Am-ness. We just ask this question ‘to whom’, or we bring ourselves to the present moment, and we are… here. And as you feel yourself in this moment, you feel a deep sense of emptiness because, when you close your eyes and feel the answer, all you can feel is infinite space within yourself. Infinite space, outside youself. That’s all. It’s a space. As you ask this question ‘to whom’ in the gap between two thoughts – one thought rising, falling, and giving rise to another thought, falling, giving rise to another thought – the habitual pattern of thoughts, being one continuous stream… breaks… and there you recognize the gap between thoughts, which ultimately is recognized as infinite space on which little thoughts keep popping up and down, dancing up and down. And there you find – as you feel yourself as a Witnesser, as an emptiness, as zero-ness, as void – that it’s a great way to bring yourself again and again to your Self, to the background Witnesser state of emptiness. This is the stage one practice. Now as you go deeper in this practice, you realize that no matter how many times you bring the mind back to this emptiness, there are certain habitual patterns you just can’t seem to get rid of. You realize that you are moved, or pulled, into a certain direction again and again, again and again, again and again. So your state of peace, of poise, gets compromised due to your getting pulled into certain events, certain habitual thought patterns, certain habitual emotive patterns, and you feel helpless… you can’t break that pattern somehow. In fact, you have learned a way to escape from everything by doing the first stage practice. You have tried to escape everything by doing this practice (first stage). This is natural. This is what a person experiences. It is not a question of whether that technique is wrong or right. It is, of course, right, but it only leads you to a certain stage of practice and is not applicable in all situations. Now you have to go deeper with your practice. This brings us to acceptance. You start to begin accepting everything that comes your way. You don’t try to escape into anything. You try to accept the suffering, the pain, the emotion, the feelings, everything – you accept ‘me’. So while the first stage of practice was escaping into the Witnesser, here I am allowing the emotions, the thoughts and everything to be just as they are, and then, feeling these. The approach is different, let me tell you that. You allow everything to be just as it is. You accept every situation just as it is. Without trying to fix it, without trying to move into the Witnesser, without trying to do anything, but just accepting it, and then, noticing… noticing… that everything is an opportunity to actually point to the Witnesser again. Every emotion that arises, no matter how intense it is, eventually leads to the Witnesser if you are ready to hold it and endure it, without trying to do anything about it. If you don’t contaminate it with your usual pattern of trying to fix it through thought, then you are left to deal with it as it is. And if you are ready, if you are willing to deal with it as it is, then you see the truth in it. You recognize the importance of enduring all your feelings and gain strength from doing this. You realize that your wisdom deepens by staying with everything God and Consciousness throws at you. You learn to endure and simply ‘be’ with it. You learn to surrender to everything without being in a hurry to move into the Witnesser. You learn the art of surrendering to everything with joy. So then, you don’t try to fix it by moving into anything. It automatically leaves you, just like every wave that arises eventually falls into the ocean. Similarly, every feeling, every emotion, everything, eventually falls back into that ‘ocean of Witnesser’. Everything is pointing to that. You only have to recognize it. So the first stage was recognizing the space – the gap – the Witnesser. Here is an opportunity, it’s not eliminating anything, or bypassing anything, but actually embracing everything. By embracing everything, by accepting everything – just as it is – you learn that your shift is a natural shift. It’s not from manipulating anything. You are naturally able to go into it. You ‘intuit’ that everything becomes an invitation. Everything becomes an opportunity to recognize the background Witnesser – EVERYTHING. So you don’t judge it. You don’t give opinions about it. You just embrace it. And by just embracing it, by allowing it, by letting it remain as it is, you start to feel your feelings, and you are able to ‘intuit’ that strong certitude of ‘presence’ – of ‘being’ – within yourself. You intuit both of these states. This is something that happens. It’s not an exclusive witnessing state. It’s both these shifts, both of them. You can shift from one to another, very easily. Because you are not fearful of anything, you develop an inner strength of enduring everything that happens to you. Every story, every thought, every emotion, let it all be – just as it is. You have to just feel it within yourself. You are allowing it to be – just as it is. You are centering everything within yourself. You are bringing all of it within yourself, allowing your entire spirit to consume the totality of what you are, without going into thought, without going into mind thoughts. You are not going into that, you are just going into yourself. But here you are not asking any question, you are not doing any technique, nothing. You are just allowing everything to be just as it is, and just noticing what happens to you. Simple mere noticing of what happens to yourself, and you see that everything is just settling into your ‘being’ again. It is acceptance – recognition, as everything, as an opportunity to fall into the Witnesser, again and again. This is how it graduates to this stage. The second stage. And now, the third stage. After the second stage, what happens? After that, we are talking about, in terms of practice, what we call ‘implosion’, having accepted everything, having paid attention to everything, having embraced everything, without trying to fix anything in any way. Being a true Bhaka… in Jnana you are also being a Bhakta… means that you are being devoted to everything that God has given to you. You are truly opening your heart to everything that is there within you, without polluting it through any thought, polluting it in any way by your perception of it. Without translating it, without labelling it, you are going sheerly by what you are feeling within yourself. You are bringing everything, every pain, every emotion, every feeling, centered to yourself. What happens is that when you are not wasting any of your energy trying to fix anything, it brings all the energy into one place. It centers everything in one place. Your habitual patterns will try to fight against it. It will try to tell you something – it’s not right – do something about it – but you remind yourself that you don’t need to fix anything, you just need to feel everything that is there within yourself. Whatever is happening to you, you are ready to accept it, you are ready to embrace it, you are ready to invite it within yourself, within your being. You are ready to get consumed into the fire of what is given to you. You are ready to get burned in it. Slowly… slowly, you feel that there is a burning that is taking place within your body. This means that your habitual patterns of vasanas are starved by your attention. You have brought your attention to your being. And because of that, a war, a churning takes place within yourself, a churning. A Nadi churning. You are going to the opposite of what your habitual patterns are. So due to this churning, a lot of energy is going to get consumed. Yes, initially it will be a lot of energy that will be consumed. You will feel that you have become very drained from this process that you are doing. You may want to lie down. Your head may become heavy. You may become completely incapacitated. Maybe for days you will just feel so lazy that you don’t want to do any work. Moving a finger will feel like you are moving a mountain. Talking to somebody will feel like you have been asked to play a rugby match. It will be very difficult for you to do anything during this time because of the churning taking place within you. One of your habitual patterns is fighting against what you have… the discriminating faculties within yourself. God-united patterns within yourself are now trying to dominate against the earlier patterns, and the earlier patterns will try to fight against you, creating a drainage of energy. This is a normal side effect you will experience when you do the ISIP implosiveness. It is a natural thing. It is a natural state. It is a natural side effect of what is going to happen. First, there is going to be a lot of draining of energy. The mind will scare you and tell you many things: that you are going to go crazy, you are not doing your work properly and your body will ache… different parts of the body. Specifically, you may experience back problems or neck problems. The lower back, the neck, these are two areas… and the top of the head, this will become, very, very heated. These are all symptoms that you are progressing well, though the mind will say that there is something going wrong, it is not right, it will want you to check your practice, is it correct or not. But this is very natural. The sign that you are progressing well on this third stage is that, in spite of the bodily pain, no matter how excruciating it is, there will be a deep sense of happiness, and a growing sense of peace within you. You will also feel that you are in control of everything. There will be an awareness within you that will tell you that you are doing fine. You are doing fine. You are fine. You are really progressing on the right path. Many other things will happen that will give you encouragement. They are like signposts, letting you know that you are progressing in the right way. First will be nada. You could hear sounds, internal sounds. Or, you could see bright lights when you close your eyes. Or your breathing will stop sometimes and you will not feel like breathing too much. You will just want to relax into your breathing, just normal breathing. Or you could have involuntary heart movements. Sometimes your heart may beat very fast, sometimes you heart may beat very slow. All these processes you will start to learn, automatically, about yourself. As the implosion starts to take place, these are some of the effects of how your body may function. So these are the three stages of practice. The first two stages are the ‘waking state’ practices, and the third stage is the sitting ISIP meditation. But it does not mean that of the three stages I am talking about that the third stage of ISIP is more important than the first stage of answering the question ‘to whom?’. No, it does not mean that. I want to clarify here a very important point. Many people have this misconception. Many people might feel that, “Oh, Rajiv is saying that ISIP is bigger than the question ‘to whom?’ that Sri Ramana recommends’”. It is not like this. It is important to understand that every stage of practice… the first, the second and the third… are each important and compliment each other. If you are doing the first stage of practice and not doing the second, or doing only the third stage and not doing the first, then you are missing something. The important thing here is for you to intuit which of the three stages of practice you want to do at different times, because all of you are going through different experiences in life. All of you are into different areas of knowledge, different ways of functioning. Your body-mind mechanisms are different. So you know yourself better than anyone and need to be your own doctor. You need to be your own therapist. You need to know ‘this is where I am lacking’, ‘this is what I need’ and that ‘I need to do this practice more than that practice’. ‘I need to do the waking state practice more than my sitting meditation’ or ‘I am lacking in sitting, so I need to do sitting more than waking state’. So all these three stages of practice are equal in importance. Don’t think that the ISIP sitting meditation is more important than the stage one waking state meditation, or that stage one is less than the stage two, no. They are all equal. You have to decide which one is appropriate for you at that particular time. The second misconception that people have is that they must do ISIP even when they are in a state of deep abidance, or joy, or presence. When the ‘intoxication’ takes place, they disturb their joy, their sense of presence, or their sense of deep abidance in the Self by doing the ISIP sitting meditation. ISIP sitting meditation should not be done… should not be done… if there is a natural abidance of peace and joy within you. Do not disturb your peace. Do not disturb your joy. Do not disturb your poise, your equanimity, by doing any of the ISIP technique. Do not do that. ISIP should only be done when you feel that your Awareness has fallen lower and you cannot raise it high enough and you are struggling with thoughts, or you are not able to sit for a long time in meditation, or you feel that you are not able to maintain the peace, the equanimity, your joy, for a longer duration of time. It should only be done then. So when I say about being disciplined, because I don’t know who’s a beginner here, who’s intermediate, or who’s advanced here – it’s all dependent on you… you have to decide. Each one of you must decide, ‘this is the extent to which I need to do ISIP’. And again I am saying, an advanced disciple should not feel that he does not need ISIP, that only a beginner needs ISIP. That again is wrong. It is possible that even very advanced disciples or students who are very near to the state of peace, may not be able to retain or sustain the state of poise and peace, or joy, for a longer period of time. They may only be able to do it for a few hours in a day and then they slip back into body-mind identification, they slip back into their normal patterns; for them ISIP should be there. The moment you realize that you are slipping back, you need to use the three stages of practice. Use any of the three stages outline above and see which one is the one that connects you to your peace, connects you to your joy, and bring your mind instantly there. In the third stage of practice, implosion, we are talking about the ISIP sitting meditation. ISIP as a technique is not implosion. ISIP as a technique is only a door towards implosion. The implosion can happen even when you are out walking. In a moment. So it could happen in the waking state. You are dealing with so many emotions at one time, and you are taking time to process these in your ISIP meditation. It is processing these. But, implosion can very much happen while you are walking, or even eating. Anything can happen at any time, so implosion does not mean only the ISIP sitting meditation. Implosion means any of these three stages of practice can be used to ‘implode’. The first stage, recognition of the gap or space, the second stage, recognition as an opportunity, and the third stage, the ISIP sitting meditation. You need to figure out which of these three stages to use at what degree, to what extent, and how. And I believe that there should be a balanced way that you approach these three stages of practice. When you do it in a very balanced manner, then you will be in a better situation to understand ‘how’ and ‘what’ you need. In sitting meditation, when you are doing the ISIP sitting meditation, when you raise the energy upwards, into the Sahasrara by the ‘freeze and release’ method, for example, you are stimulating various brain cells, neural pathways (as I had said the other day in the earlier Satsang) and that is equally important as the other stages of practice, but it is only an aid. Everything is an aid, everything is a help, so that you are progressing towards your goal, that is, Self-Realization. how honestly you feel that you have put your best effort into the three stages of practice. And then intuit for yourself which one is working best for you. When the implosion happens – whether from stage one, two or three practice, any of these three practices, or a combination of these practices, or one exclusive practice, whatever you intuit as best for you – all the energy from various bodily activities, mind thought processes, emotional processes, are brought into one place, creating an implosion within yourself, creating tremendous heat. And like I said, in the earlier stages you will feel that you are drained of all your energy. But later on you will feel that something is bubbling inside of you – a joy, a sense of happiness – you will feel that your reservoir of energy is increasing, if you are able to handle the initial discomfort that happens due to ISIP, due to implosiveness. ISIP – the Implosive Self Inquiry Protocol™ – is a combination of all these things, not just the sitting meditation. This is another misconception many people have, that is, when I say ‘ISIP’, they feel ISIP is just ‘sitting’; doing Omkars here and there, and freeze and release, etc. It is not like that. ISIP includes all of these three stages of practice. All of these together make up ISIP, and the balanced way is for you to find which of the three stages create a churning within yourself. What is creating a stirring, a stir within yourself? What is creating it? And then as things start to stir within yourself, the energies start to remain in the higher spiritual centers, activating the higher brain cells, staying there for a long period of time, able to sustain the life-force upwards. When there is peace and when there is joy, when there is stillness, do not disturb it by doing the ISIP sitting meditation. Do not do the ISIP sitting meditation when you are experiencing peace and joy. Second, do not get worried, do not get scared if there are ‘side effects’ such as: you feel very drained, you feel very lazy, you don’t feel like working, you feel incapacitated. Don’t feel worried about it. Third, don’t feel sad, and unless you have a medical problem, an earlier medical problem, do not be paranoid if you experience any body aches in your body, because lower back problems are normal, neck problems are normal. These can happen as the Kundalini starts to travel its way upwards. A hammering at the base of the spine happens. Many other things happen, your dreams become vivid, many phenomena take place. You become more aware of the waking state and your dream state and participate in your dreams which can be very entertaining… entertain yourself, don’t get worried about it. Don’t feel that you don’t have the proper rest. This is all anxiousness and anxiety that is created by your mind. 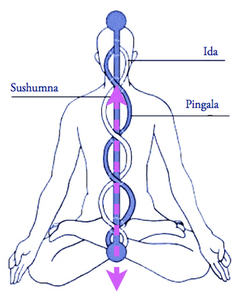 Know these are all signs of the Kundalini travelling to higher states of your Awareness. Do not get worried by any of this. However, if there is a medical issue, please use your discretion and, if you feel it is necessary, see your doctor. But don’t worry needlessly, because the Awareness within you will definitely tell you what you need to do… you will have a very sweet sense of presence, a sweet sense of assurance within yourself that will guide you. There will be just the sweet sense of assurance. I cannot explain to you in words what it is, it just is. No matter how much your body is paining, no matter how much your head is paining, no matter what is happening within you, no matter how vivid your dreams are, no matter if you have out-of-body experiences, no matter what scary experiences you may have, no matter what pleasurable experiences you may have, no matter what is happening, you will still feel a sense of happiness within yourself. It will be a growing sense of happiness, and a detachment from thought, a detachment from ordinary emotions, a detachment from ordinary feelings. These will all be harmonized, spiritualized, for your higher good; which is to center you within yourself, to center you, and remind you to be devoted to your God, to yourself. You will automatically know this. EVERYTHING is an opportunity to go within to your Self. So every thought, every emotion, every feeling, including projection, is an opportunity to go within, to turn your attention around, back onto your Self. Now, what is a ‘projection’? A projection is nothing more than a false belief in our thoughts, feelings and emotions directed towards others, or onto ourselves, which are then supported by various kinds of mental images to validate them. It is amazing how often we come across situations where we judge others, form opinions about them, criticize them. We do not even realize we are doing it. These words just come out of our mouth, or keep playing over and over again in our head, especially when we perceive ourselves to be in a hostile situation and we get ‘triggered’. It is not until things become calm and normal again that we begin to recognize what actually happened. A form of sensibility dawns upon us. But in that moment of conflict, when we get ‘triggered’ by a person or situation, at that time we fall into the trap of thoughts, emotions and feelings — and we believe them. This then becomes a regular pattern repeated over and over again. So why does this happen? Why do we believe these thoughts, these emotions, these feelings, which we later come to recognize and understand were exaggerated or magnified? Why do we believe them in the first place? Simply stated, it is because of our projections — our self-imposed projections. The Masters say that whatever you think about the ‘other’, or whatever judgement or opinions you have about the ‘other’, it is ALL your own Self… it ALL comes from within YOU. The other person (the trigger) is only a mirror of the emotions, feelings, personality, hidden within you. However, the moment I say the projections are ‘you’, you then begin to judge your own self and say, “Well, I am the problem here!”… “It is all me”. This is also a judgement, except that it is now directed towards you. It is the same false belief; there is no difference. So, before you go into a self-victimizing mode and blame yourself, you should gain an understanding of how a projection is created. No. It will not help. And why? Because of the ‘I-thought’. As we have been taught by the Masters, when we go into the deep sleep state, the mind, the I-thought, the ego, have all retired and are temporarily dissolved, or merged, into the Awareness of Ananda — Joy. But as soon as we wake up, the I-thought arises and latches onto something that it can refer to, it latches onto a reference. Why? Because it is interested in living, surviving, expressing — the ego wants to thrive and live, and it needs a reference to do so. So first of all, accept that all of us project. It is normal and natural to project. There is nothing wrong with it, because it is the inherent and spontaneous movement of the I-thought. The I-thought has to move and latch onto something. So, what does the I-thought latch onto? It latches onto a ‘memory file’. Each of us, as human consciousness, are nothing but a collection of ‘memory files’. Within each of us is contained a huge storehouse of these memory files, piled up one upon another. 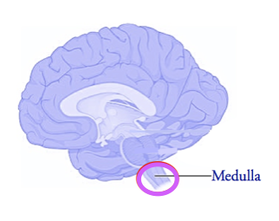 As soon as the I-thought shoots up into the brain (on waking up), it needs a reference so it quickly latches on to the memory file (good/positive or bad/negative) that it sees first, or that it can attach onto first. So if you have memory files that are based predominantly upon bad memories, and memories of pain, negativity and suffering — these become your core experience; and if you have a predominance of good memory files, then these will become your core experience. Hence, anything that the I-thought references becomes your perception of existence. You will cognize, feel and experience things based on the reference chosen by the I-thought at that moment. In situations of conflict, or during arguments with another, it is typically the bad, the negative memory files that are referenced. But if you look at your past events and analyze them rationally, you will discover that there have also been times when the person you are now having a conflict with has been good to you, has supported you in the past. But you do not recollect that goodness or support in the ‘heat of the moment’. You only remember how they wronged you in this moment. Why? Because the bad memory files far outnumber the good memory files within us. But here lies a crucial clue for you — while you may not be able to prevent the I-thought from latching onto the memory files at this stage, you do have the power to choose the memory files that the I-thought selects as its reference. I will now explain how you can direct the I-thought to choose a good/positive memory file. First, you need to understand that there is one basic rule and two steps involved. Stop believing your thoughts. STOP believing them! And stop believing how you feel. Do not believe it. Know the location of the memory files, where they are stored. Part 1 – Replace the bad/negative memory files with good/positive ones. Part 2 – Burn ALL the memory files, including the I AM memory file. So, in looking at The Basic Rule, the first question that arises is, “Why should I stop believing my thoughts and feelings?” The reason is simple, they are mixed with, and corrupted by, the bad/negative memory files and are not reliable enough to be trusted or depended upon. I will now explain the steps. WHERE are these memories, these ‘files’, located and stored? So, where exactly are the memory files located and stored? These files are located in two places within you. One is in the Astral Storehouse, and the other is in the Causal Storehouse. The Astral Storehouse (Subtle Storehouse) is located in the spine area. Memory required to maintain physical (bodily) functions and subtle functions (mental and pranic aspects) of the body are recorded here. They are encoded and kept here, in the area of your spine, as memory files. How you have led this life, and the type of thoughts or deeds you have entertained, are all recorded here, in the Astral Storehouse… the Sushumna Nadi. The Sushumna Nadi (the middle channel) is the path of rightful action [see above diagram]. If your actions are more sattvic (dharmic) then the Sushumna gets activated; otherwise one’s consciousness moves between the Ida and Pingala. The second location is the deeper one, the Causal Storehouse, where deep-rooted memories, usually binding memories (samskaras and vasanas), are stored in your Spiritual Heart. This is where past karmic impressions are stored as well. So there are two places where the memory files are stored. In Step 2 that follows, we will address HOW you can choose the memory file that the I-thought selects for its reference. Part 1- Replacing the bad/negative memory files with good/positive memory files. The first part of the second step, related to the Astral Storehouse, is to replace as many bad/negative files as possible with good/positive files. To do this, you direct your awareness to your Sushumna Nadi (in the area of your spine) as often as you can during the day. Then, on the exhale, through your breath, release the energy back to the base of the spine and mentally chant ‘AM’. ‘I–AM’ … ‘I–AM’ … ‘I–AM’ … ‘I–AM’. FEEL the movement of the energy going up and down, and the calming presence of I AM-ness within the middle channel. In doing this, you connect to the energetic Sushumna Nadi, that is, the middle channel, where the physical, pranic and mental files are kept. The result of this particular practice is that you ‘throw away’ the bad/negative memory file and replace it with the I AM file, the good/positive memory file — the purifying agent I AM file. This practice works best when you are presented with a ‘triggering situation’ and, in that moment, instead of believing your thoughts/feelings/emotions (projections), you believe that, “I am going to activate the Sushumna Nadi, magnetize this Nadi, the middle channel, by synchronizing my breath with the Sushumna Nadi, and mentally chanting, ‘I (inhale) — AM (exhale)’ … ‘I–AM’ … ‘I–AM’ … ‘I–AM’. So, to reiterate, the moment you feel agitated and compelled to act — and to react — instead of going with your habitual pattern of creating more bad/negative files within you — STOP — and bring your mind gently to your breath. 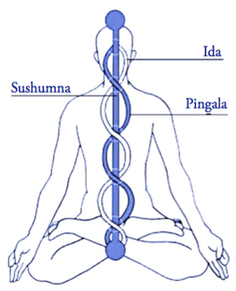 And then, direct your attention to your spine area, to the Sushumna Nadi (middle channel), and on the inhale, raising the energy upwards towards the Medulla, mentally chant ‘I’. And on the exhale, releasing the energy back to the base of the spine, mentally chant ‘AM’ as many times as you feel necessary (in that situation). After doing this practice for a few days, you will discover… and come to understand… that every ‘triggering situation’ is actually an opportunity to feel your I AM as a natural, sustained calmness and, with regular practice, you will find that bliss will begin to ooze out from your spine area, travel to the top of your head, and fill you with immense joy. What a blessing! Special Notes: It is important to feel your Sushumna Nadi (middle channel), and if you do not initially feel it, simply hold the ‘intention’ of being in the Sushumna Nadi. In addition, you do not need to use a special breathing technique — just normal, relaxed breathing is fine. As you inhale, imagine your breath rising upwards from the base of the Sushumna, and when you exhale downwards, imagine your breath going back out the base of the Sushumna. Part 2 – Burning ALL the memory files. The second part of Step 2 is even deeper than the first part. In the first part of the process — focusing your attention on the Sushumna Nadi — you were replacing the bad/negative memory files with the Divine I AM file. However, the residue of the particular situation (hurt, pain, rawness) may still remain. This next part of the process (going into the Spiritual Heart) is where you will actually burn that remaining residue, even the good/positive memory files, permanently eliminating them. So, after you have done the first part (Sushumna Nadi), you must then move into your Spiritual Heart, and sit in your Spiritual Heart with Love — actually feel that Love in your Spiritual Heart. Note: if necessary, you can use your physical heart as a focal point and hold the ‘intention’ of feeling your Spiritual Heart until such time as you can actually feel your Spiritual Heart. So, in the second part of the process — focusing your attention in the Spiritual Heart — you will actually be burning ALL the memory files… the good/positive memory files, the bad/negative memory files, even the I AM file. All of them. Every memory file will be burned. You have to go prior to the I AM by burning all the memory files. Nothing must remain… you are emptying yourself of everything. Finally, after some practice, when you begin to burn all the memory files successfully, a powerful magnetic field begins to activate. A pathway is then discovered between the Sushumna Nadi (in the spine area) and the Brahma Nadi (at the Spiritual Heart). When this pathway is discovered, the Sushumna Nadi and the Brahma Nadi merge as one, and an energetic field — a magnetic field — is created around you. They no longer appear as two different polar points but merge into ONE. This will be a parallel existence. You will literally go into a different world. Your body may still appear to live here on this Earth, eating, doing everything that it was doing just as before, but you will not be ‘of this world’. There will then be such immensity, such beauty, such spontaneity of Love and an ever-new, never-ending Joy. You have become a Beacon of Light unto others as the only memory file that remains is the one transmitting spiritual Joy and Wisdom to others through Grace. What is the mind? The mind is nothing but a collection of thoughts, perceptions, ideas, imaginings, concepts, etc. So, in the first stage of ISIP we put our attention to “what is the mind?” to enable us to separate our existence from the mind. We learn to maintain a distance between our SELF (the ‘I’) and our thoughts. We watch the thoughts… ideas… imaginings… coming and going. Everything is coming and going… rising and falling. This means there is always going to be a ‘gap’… a distance… which allows the existence of you, the ‘I’ being a witnesser (subject), and the thoughts or the mind, being the object that is being witnessed. Initially, it appears that the ‘witnesser’ and ‘the witnessed’ arise together. The thoughts are so continuous that we do not realize that there is a gap that allows the emergence of the witnesser. So as you keep attending to the mind, to the thoughts, you end up in the space between you and the thoughts and can observe them moving around, coming and going… like clouds passing in the sky, or traffic on the road. You can watch everything… your thoughts… ideas… imaginings, appearing and disappearing into that gap, that space. Now what makes this possible? How does this happen? This happens because you have used your ‘attention’. Attention is inquiry. Remember this. If you are able to ‘attend’ then you are doing Atma Vichara, Self-Inquiry. • ATTENTION is the backbone of spiritual investigation, Self-Inquiry. • As you attend to your thoughts, you will see they disappear. • As you attend to your mind, you will see that it is empty. • And, if you REALLY attend to your mind, you will discover it is not there! The beauty of the faculty of ATTENTION is that when you apply it, you will discover that anything that is unreal will begin to disappear, and anything that is Real (everlasting), will ‘fill you up’. That is the power of Attention. So, if you want to know if anything in life is Real, just attend to whatever it is and you will come to know if it is Real or unreal. Because if it is unreal, it will begin to disappear, to disintegrate. It will start to have a ‘distance’ from you until it is finally gone. And if it is Real, it will start to consume you, to fill up your Heart with Love. It will possess you. You become ‘whole’ with it; it completes you. Attention has the capacity to empty you, or to make you whole. Attention is a tool to help you determine the difference between Reality and un-Reality. An example is a room filled with all sorts of dirt and muck. Attention is the broom that sweeps out everything and makes you aware of the space that is available. It is not that it has created the space, the space was already there. Another example is to think of a room completely filled with furniture, totally overflowing with furniture. As you start to apply your Attention, that is to move the furniture out of the room, it appears that it has created space, but it has not. The space was always there. What your Attention has done is to remove the hindrance… the furniture… so that you become aware of the space. It is important to understand that spirituality is not about attaining anything, or trying to create a state… you cannot create a state… you only have to remove the hindrances that are needlessly been kept within your mind, within your Being (like removing the furniture to reveal the space). The moment you have removed the hindrances, you become aware and observe that there is infinite, expansive space within you. So, as you pay attention to your thoughts, they start to disintegrate and disappear, leaving you with a spaciousness that you can feel within the upper part of your body. Thoughts can still be there, but you begin to recognize more and more space between you and the thoughts. The space will become more powerful than the thoughts. Your relationship with the space within you will become more intimate, much stronger, than your relationship with the thoughts. To summarize, in Stage 1 of ISIP Levels 1 and 2: You are able to feel the emptiness of the mind. In Stage 1 of ISIP Levels 1 and 2, you learn to empty the mind and recognize the ‘Witnesser’. In this second stage, you learn to fall back into the Witnesser, dismantling and unraveling the ‘I’. In Stage 1 you learned, instead of observing your thoughts, to focus your Attention on the background ‘I’. You learned to pay attention to the subjective ‘I’ feeling, the ‘I-sense’ that is there prior to the space that you have created, and prior to the thoughts. So, using the same tool introduced in Stage 1, ‘Attention’, you keep bringing your attention again and again to the background ‘I’, to the ‘I-sense’ that you can feel as the background to everything that is happening — prior to the space and prior to the thoughts. The Rule is, that as you pay attention to anything, the unreal starts to disappear and the Reality starts to arise. What happens when you bring your attention again and again to the ‘I’ is that the impurities start to fall away leaving you with the ‘real I’ at the very end. But this is a different ball game altogether. The ‘I’ is more subtle and more complex than the mind, more complex than thoughts, because of the subtle energies at play — the life-force… the vasanas (tendencies)… the feeling of voidness, the sensations at the physical and subtle levels — so it is not easy to tease out the ‘real I’ only through attention. The ‘I’ is made up of a labyrinth of feelings, emotions, tendencies, sensations, life-force, nerves, etc. that is much more complex than just the thoughts. So even though you pay attention to this background ‘I’, you can get very frustrated because there are so many facets to it. You clear one thing, and another comes up and then another… and so on… and it seems never-ending. As a result, you can become very frustrated attending to the ‘I’ because the process to purify it can take a long time. And this is where ISIP Levels 1 and 2 can help, along with abidance or attention to the ‘I’. In Levels 1 and 2 of ISIP, you not only utilize ATTENTION as a powerful tool, but you also learn how to raise your life-force up to the higher three centres: the Third Eye, the top of the brain (Sahasrara) and the Spiritual Heart. These three centres are symbolic of the ‘I AM-ness’, the Pure ‘I’ — they represent your ‘I-sense’. It is therefore important to develop these three centres so that they become ‘activated’. Once they are activated, even if you lose Attention temporarily, the life-force will automatically remain in these three higher centres, instead of being dissipated into the lower centres. This prevents the space you have created from becoming occupied by something else the moment you lose Attention. Doing these five ISIP practices, the Third Eye, top of the brain (Sahasrara) and Spiritual Heart are developed and activated and the life-force is then automatically pulled up and prevented from being distracted into other aspects of existence. Using your ISIP Waking State ‘Burning’ practice, you must also use everything as an opportunity to burn the seeds of your vasanas and subconscious fears. That is, you become one with that play of emotion, or feeling, and see that it is you, that everything is a part of you. In this stage, the ‘I AM-ness’ starts to open up and you will feel the energy is settling in the upper part of your body. You can invite the I AM-ness in, but it is not permanent. It will still come and go because this is not yet the ‘AM-ness’ (as we have discussed in earlier Satsangs). ‘AM- ness’ is only experienced through the Grace of the Masters, of Consciousness. In this third stage, there is still a lot of attachment to the ‘I AM’ feeling because you are trying to possess it like any other object you own. You begin to possess your Shakti and believe it is yours. You are deluded into thinking that the ‘I AM’ belongs to you, and forget that it is not yours. It must be understood that whatever Shakti you are feeling, is not your doing. You are only putting the effort in to raise your energy, attend to the ‘I AM’, and burn your vasanas. The ‘I AM-ness’ feeling may be there… or it may not be there. This can be a very difficult stage for many seekers as they become so disillusioned when they feel they are not making any progress… not getting any experiences. So it is very important to understand that, when you reach this stage, when you become disillusioned, that you persist with your practice. When you devote yourself to God, and do not divert your attention away from Him, the time will come when your devotion to God and Guru is greater than your devotion to your ‘I AM’. Then, no matter how you are feeling, you are completely devoted to the Path, completely devoted to God and the instructions laid down by the Guru — because you have understood the mystery that “this is not me”. You will understand that the ‘I AM-ness’ is a toy given to you to play with so that you can amuse yourself with it. So, you must continue with your practice (sadhana) irrespective of whether you are feeling your ‘I AM-ness’, or not. And then, when you have the deep certitude within you that “the I AM is not mine, that it is given to me by God” (Guru, Christ, Krishna… whatever name you wish), then God will give it to you permanently — as you have proven that your mind will not be diverted. To summarize, in Stage 3 of ISIP Levels 1 and 2: The I AM-ness starts to open up. As you progress in Level 3, you will find your three higher centres, the Third Eye, the top of the brain (Sahasrara), and the Spiritual Heart become activated. The upper part of your body now completely opens up, becomes fully developed, and the three higher centres become completely integrated with each other. The life-force starts to pour into these three higher centres and you feel your existence is in the upper part of your body, not the lower part. The lower part is definitely felt, perceived and functions, but it no longer dominates your existence. You can function through the lower part of your body through your own will, but you are not forced to go into the lower part of your body. This is because Awareness and Consciousness effortlessly begin to remain in the upper area between your Spiritual Heart and the top of your brain (Sahasrara) as these centres have become highly activated. The lower part of your body means survival, reproduction, hunger/food, cravings, etc. You are not denying the lower part of your existence, but when you are ready for Level 3, the three higher centres become so activated that they start to vibrate, opening up. At this point your attention remains in these centres and meditation becomes absolutely effortless. 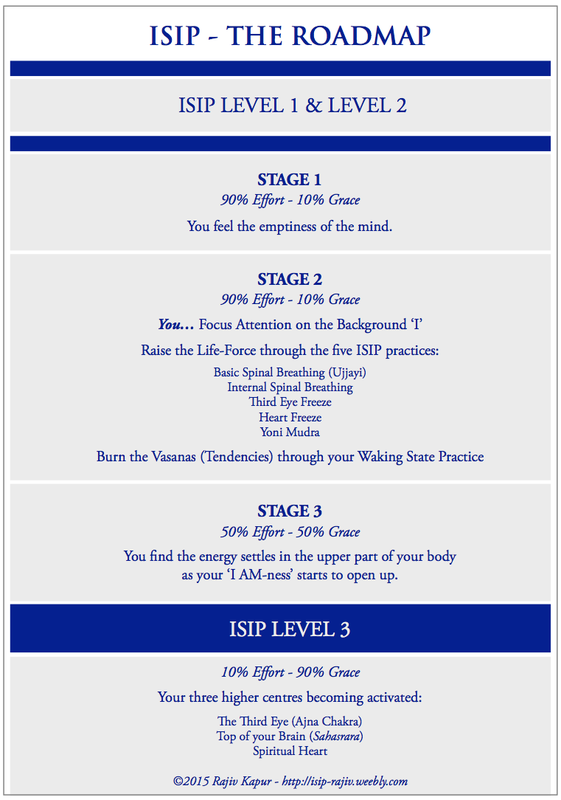 In Stages 1 and 2 of ISIP Levels 1 and 2, you will find that meditation is 90% effort and 10% Grace. In Stage 3, the ‘I AM’ stage of Levels 1 and 2, meditation is 50% effort and 50% Grace. And in Level 3, it is now completely reversed and meditation is 10% effort and 90% effortless Grace.